…usually has several good reasons! Colin and I were busy only one week ago packing for our trip to Calgary where I taught two workshops. Mid-afternoon our overnight company arrived. Cathy Miller, the Singing Quilter, and her husband John Bunge stopped in on their way home from their latest tour. 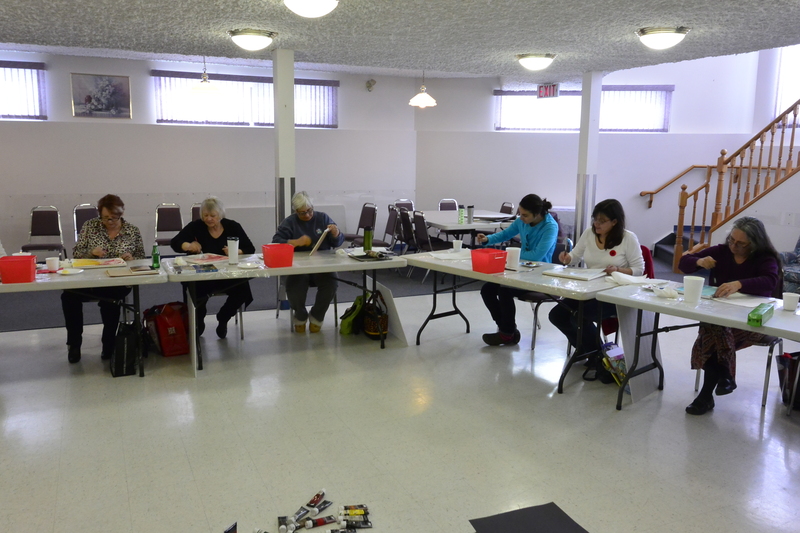 We had connected last in July in Drumheller and there was much to chat about and share about what each couple has done since the summer. Cathy and I spent a little time in my studio. Thanks to John for taking the picture! … They traced, painted, examined value and texture, explored options and possibilities to go home with a long homework list… We gather again on December 10th and I can hardly wait to see what each participant comes up with. 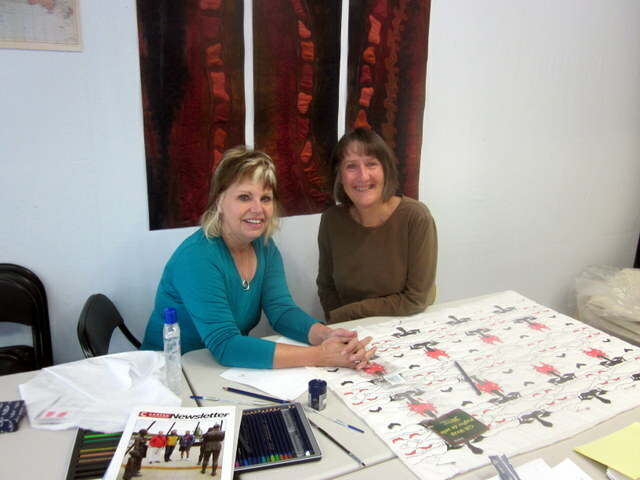 A special thank you to Alison for being my liaison for this workshop. 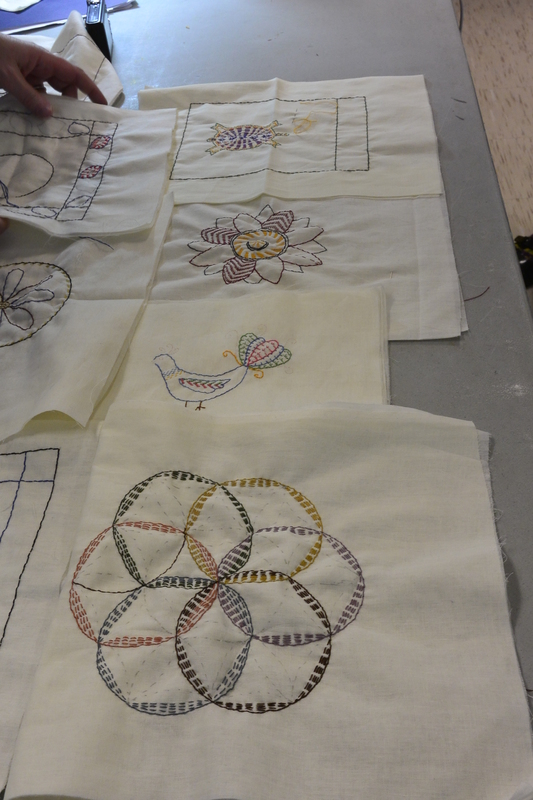 It is always heart warming to see products conceived in workshops. I love to receive images via email but it is particularly exciting when I get to see a completed project in person. 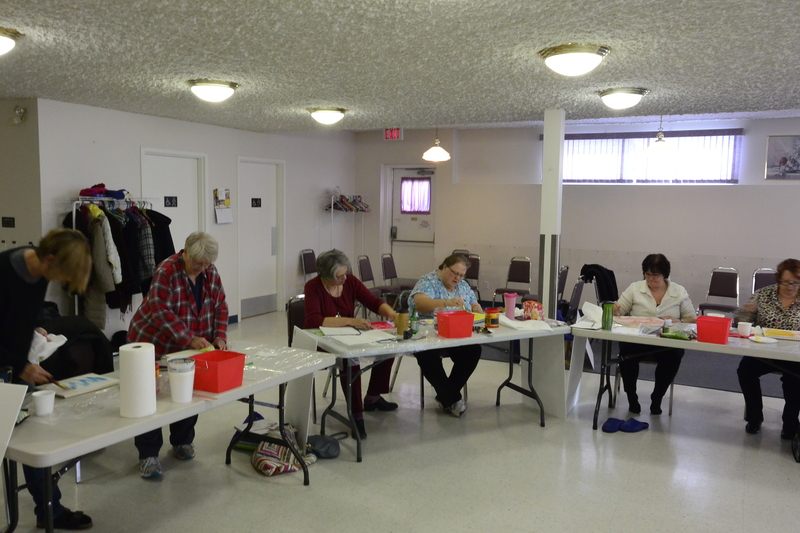 Mei was an Art Quilt Campus participant in Muenster, SK last July. 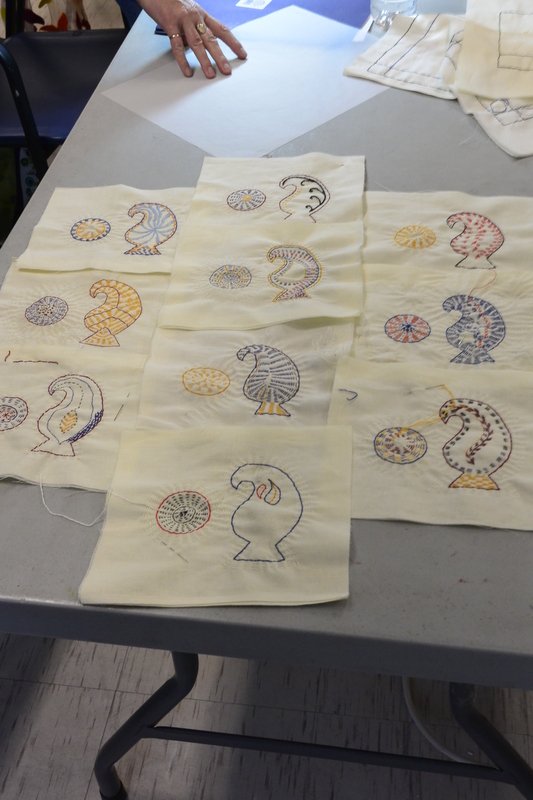 Mei was brand-new to quilting, in fact she had never created a quilt before Art Quilt Campus. Mei was inspired by a brick wall in her daughter’s apartment in Kopenhagen and brought along a picture. Based on that she dyed the fabric, cut the rectangles and strips and pieced them together. On Friday I was invited to her Calgary home for tea and show-and-tell. The quilt had been returned from the longarm quilter, Debbie MacLeod (a mutual friend) who operates Whispering Hills Quilts in Athabasca, AB. Mei had just finished attaching the binding and was proud to show off her very first quilt. 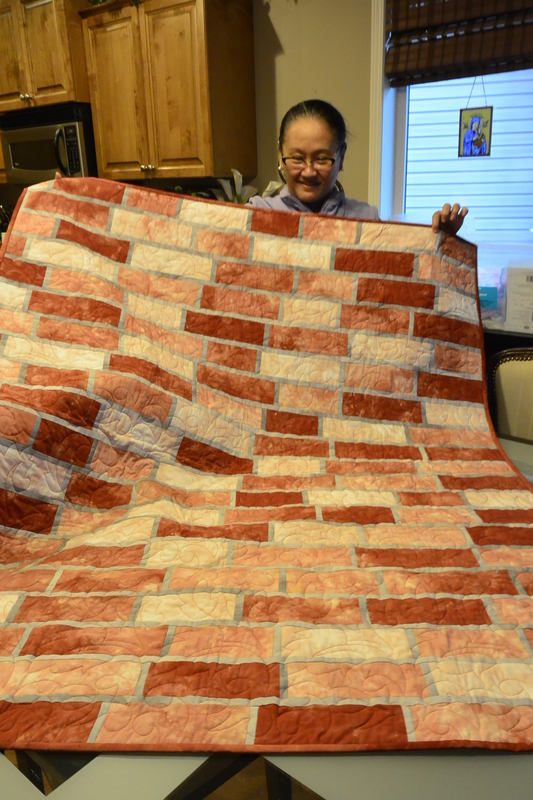 Congratulations to Mei – her first quilt… I can’t wait to see what she creates next! All around, our trip to Calgary was full of visiting, reconnecting with new and old students and friends. It’s time to unpack and get organized and immediately repack for my next teaching excursion to Whitehorse. 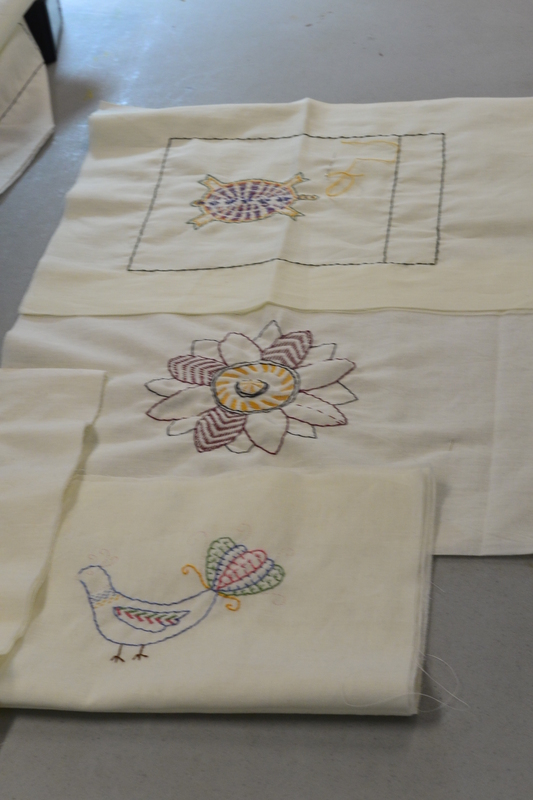 I heard from the Kluane Quilters’ Guild there that there are still a few spots left in the Kantha Class and the Art Quilt 101 workshop. Interested? Check my calendar on this blog for contact info. 12 Nov	This entry was published on November 12, 2014 at 12:30 pm. It’s filed under Creativity Update and tagged Alberta Quilt Study Society, Art Quilt Campus, Calgary, Cathy Miller- the Singing Quilter, Debbie MacLeod, Design Workshop in Calgary, Kantha workshop, Kluane Quilters Guild in Whitehorse - Yukon, textile art workshops, Whispering Hills Quilt Shop in Athabasca - AB. Bookmark the permalink. Follow any comments here with the RSS feed for this post.